With a little guidance and some common sense, timeshare need not be the terrible nightmare that doomsayers insist it is. 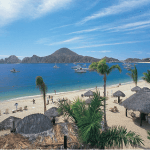 In fact, there are some simple timeshare tips that could save you from the scammers and ensure that your timeshare purchase brings you the idyllic vacations they promise. Firstly, be clear about what you want in a vacation and how often you wish to take a break with your loved ones or friends. Often what we want is different from our reality, and that could be where a timeshare would benefit you, as they encourage owners to take regular vacations. Likewise, if you know you are a home-bird and a vacation out of the country is a once in a lifetime event, then the timeshare property will have to be a pretty amazing deal to get you on a plane every year. The key here is to know what you envisage for your future. Knowing a little about the types of timeshares that are available will also help you to buy into a scheme that suits you. When timeshare began, fixed week timeshares were the only options, but now there are also points systems that allow you more flexibility of dates, type of accommodations and length of stay. There are also a number of vacation clubs that allow you to swap your timeshare, allowing you to travel all over the world. An important part of your timeshare satisfaction is to think about the destination where you are purchasing your property. Look at all the local amenities and the potential for growth in the future. Does the destination have a range of restaurants? Are new places opening up frequently? Are there activities for you and your children to do as you and they grow older? Timeshare is a lifetime luxury, so it is important to choose locations that grow with you. On a financial note, it is essential that you do some research about the company you are buying with. As a general rule, the established larger companies are by far the best option, but if you are tempted by an emerging or smaller operator then be sure to do your homework. The best way to avoid scams is to buy with a reputable long standing company. To protect yourself and your property, make sure you keep up to date with your maintenance fees. This is an essential piece of advice as falling behind could cost you a lot more in legal expenses. Maintenance fees are an integral part of your investment to preserve the value and enjoyment of your property and all owners are require to contribute. Another piece of advice which comes more from common sense than from experience, is to ask questions. Prepare a list of the things that you need to know before purchasing your timeshare so that you can make a fully informed decision. Finally, and most importantly, be wary of resale scams. If you come to the point where you would like to resell your property, do not join any company that asks for a fee up front. You should always consult a registered real estate agent or even talk to the operator who originally sold you the property. 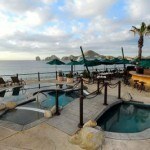 Share the post "The Best Timeshare Tips"
Timeshare sales are very common these days. Resort companies and worried owners are doing all that is possible to sell their timeshare properties, but the problem is that the supply exceeds the demand by far. If you go on vacation to a well known touristic spot, it is very probable that you will be approached by a timeshare salesman. No matter where you are: at the airport, on the streets, on a restaurant, timeshare salespeople are everywhere! And if that’s not enough, the internet is also infested by thousands of timeshare sales deals. In the following paragraphs, we’ll describe how timeshare sales are seen from different perspectives.